Gamma Hydroxy is suitable for all skin types but can particularly benefited aged, dry and oily skin types. 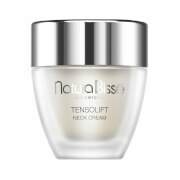 This new generation, one step skin resurfacing cream that gradually removes the dead, lifeless top layer of skin to reveal the younger looking skin beneath. It was specifically developed to help treat the appearance of acne-scarring but this gentle, safe poly-hydroxy blend of super exfoliating acids can also help to visibly reduce the appearance of open pores, pigmentation trouble areas, wrinkles, frown lines and dull leathery-looking skin. Cleanse and tone your face and pat dry. Smooth a thin, even layer of Gamma Hydroxy cream over your face, neck, hands or any pigmented area once or twice a day. Alternatively Gamma Hydroxy can be used once or twice a week as a treatment. Initially, some people may experience slight stinging and redness after application, therefore it is not recommended for sensitive skin types. Gamma Hydroxy is not suitable to use around the eye area. This is a brilliant product. SD really do deliver what they promise on the label! Having suffered with mild acne for years (and no I didn't leave them alone) it left me with discoloured acne scars. Now in my 30's I didn't think I could ever have fresh clear skin. I've only been using this cream for a few months but already have fewer blemishes, my acne scars are lighter and my skin is smooth and glowing. If you want to get rid of your acne scars or uneven skintone, then buy this cream!